Mould is a type of fungi, and can be found both indoors and outdoors around the home. More than a simple annoyance, mould can have detrimental effects on human health. That’s why it’s so important to identify mould around your home and remove it as soon as it appears. 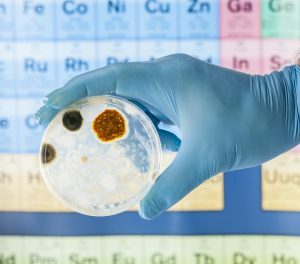 However, it’s not always visible to human eyes, so in this article we’ve provided some tips to help you understand mould test reports from environmental consultants. In order to understand a mould test report, you don’t need to be a microbiologist. But it helps to understand a little about different tests, as each type of test will yield different results. There are quite a few different mould tests including swab, bulk, tape and air tests. Each of these tests will show you different types and quantities of mould spores, and how they can be identified. An industry standard mould test by an accredited independent lab will provide you with a report that follows general format; it will begin with a description of the analysis undertaken, the results will be presented both numerically and graphically, the results will be explained, and a description of each type of mould found will be provided in a glossary format. One of the most common types of tests for mould is the air test. These tests will usually show the comparative risk of any mould present in your home, and is done both in the suspected mould-infected area as well as a control area, such as outdoors. Results of this test may vary due to other airborne particles such as dust being collected with the sample. Alpha Environmental are expert environmental consultants, offering mould assessment for homes, businesses and construction sites through Melbourne. With Alpha, our experienced team are on your side, and will always endeavour to help you understand the mould tests so that you’re kept in the loop.